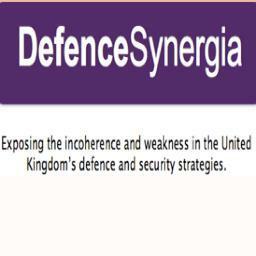 It is reassuring to know that DefenceSynergia (DS) is not alone in recognising there are ever widening cracks in the foundations of UK’s defence strategy, as emphasised by Robert Gates, a former US Defense Secretary, on the BBC Today programme on the 16 January 2014. The latter adding further strength to the concerns articulated by Professor Sir Hew Strachan in his new book ‘Direction of War’ – Contemporary Strategy in Historic Perspective. However, I wonder if the government is actually listening, despite being given much amplified commentary from knowledgeable and authoritative sources. Therefore, I offer here a view on current strategic thinking and some of its impact on the British armed forces and government policy today by briefly referencing our past military history. To that end I have often heard it said that the United Kingdom (UK) armed forces have the ability to act successfully alone (without allies). Indeed, have done so strategically many times. Whilst this thesis might be true of the Royal Navy (RN) over the past 300 years it may be less accurate when considering the British Army and Royal Air Force (RAF) beyond small scale operations and colonial actions. In saying this I draw on my own understanding and interpretation of our military history between 1799 to the present day. The Napoleonic Wars of 1799 to 1815 were characterised by several British led allied coalitions facing Napoleon’s revolutionary army which at various times consisted of British, Dutch, Belgian, Spanish, Portuguese and Prussian troops; only the Royal Navy (RN) was large enough to act alone on a global scale. By the time of the Crimean war of 1853-56 Great Britain was allied with France and the Ottoman Empire against Russia. The eventual costly land victory arguably owing more to the stoic bravery of the ordinary British soldier than a sclerotic British high command. Indeed, by the time of the second Boer war of 1899-1902 the urgent need for reform in command and administration following early defeats and unnecessary casualties became abundantly apparent.